My skylight is letting a draft in? Many skylights have ventilation built into them, to allow a flow of clean air whether or not the skylight is open or closed. This ventilation is usually achieved through vents located on the sides of the skylight. While these cannot be closed, you can use aluminium tape to cover up any vents during the colder months, and this may solve your problem. 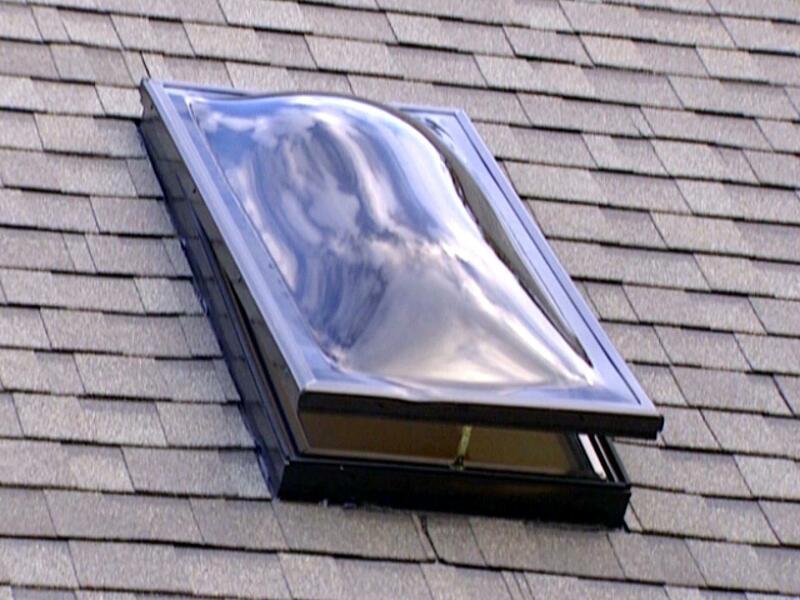 If your skylight does not appear to have any vents, then another source of your draft could be the hard plastic that surrounds the glass. This is susceptible to losing its shape over time or during rapid changes in temperature, and when this happens cold air will find its way into your property. Unfortunately, if this is the case then the best and most lasting solution is to have your window replaced. A temporary solution is to tape the inside edges of the window with insulation tape. You can buy clear insulation tape so that it won’t stick out. Lastly, and most costly, it could be that your skylight was improperly installed and it has shifted from its original position on the outside of the property. If you have easy access to your roof, you may be able to diagnose this issue yourself. If not, then you should call out somebody who specialises in skylight installation, like ourselves. If a shift in position is found to be the source of your draft, your skylight may be able to be repositioned. But this is not always the case, and resetting a skylight can be extremely costly. If this information hasn’t helped you diagnose your problem, and you live in the Leeds area, we’d be happy to come out to your property at no cost to try and diagnose the issue. We specialise in the installation of Velux windows and sun tunnels and we know everything there is to know about skylights. We will even provide you with a free, no obligation quote on any work that we recommend. Sound good? If so, give us a call on today on 0800 037 5669 or from your mobile on 07947 272 606 to get started.